For the first time since I was five years old, the Los Angeles Dodgers played in a World Series game. And they did it in magical Los Angeles. The greatest baseball stadium and city in the world. Something magical was bound to happen. 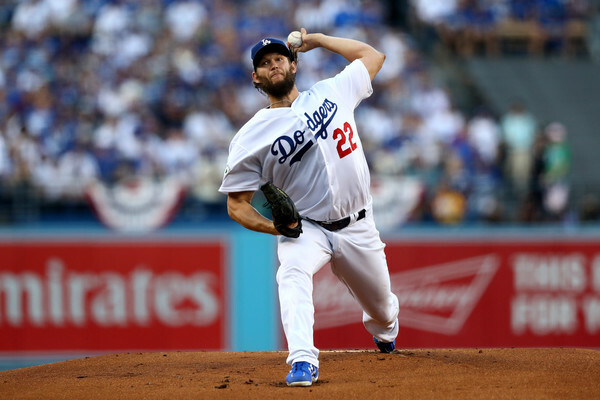 The Dodgers got the best Clayton Kershaw I’ve seen in a year and a half. This was Kershaw pre-back injury type stuff. It was apparent from the onset that he had his A-stuff. He struck out 11 and walked no one. No one can say a word about playoff Kershaw hijinx anymore. He’s the second pitcher in World Series history to ever record 11 strikeouts and no walks with Don Newcombe being the other. Alex Bregman’s solo home run to left field was the only mistake that Kershaw would make all evening. Bregman has been knocking aces around the entire postseason now. The Dodgers didn’t wait long to get the fireworks started in game one. Chris Taylor hit a ball out of the stadium on the first pitch delivered by Dallas Keuchel. It’s been that kind of year. From there, Keuchel settled in. Things got nervousy. Kershaw seemed to match him step for step. It was right around the time that I tweeted and had the thought that the next hero to emerge on either side is going to win the game for somebody. Justin Turner was that hero again. In another dramatic October moment for the Dodgers, Turner rose up. The two-run homer would stand up as the difference in this ballgame. It’s not to be forgotten that Corey Seager returned from a bad back in this game. He hit sixth, uncharacteristic of his usual lineup spot (he’s like their permanent number two hitter). 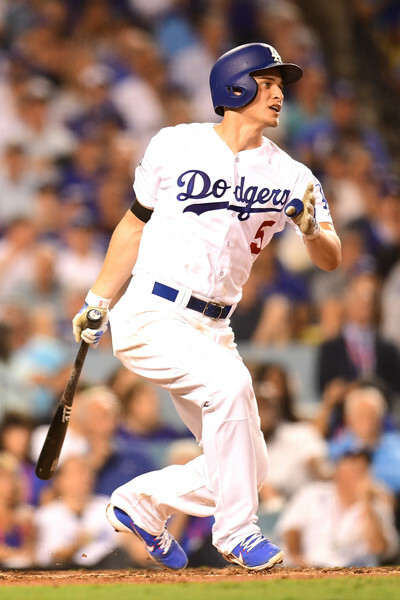 Corey Seager did what Corey Seager does. He knocked a couple of bullets to center for base hits off Keuchel, calmly. He looked good. I was a little apprehensive when Dave Roberts pulled Kershaw out of the game with him well under 100 pitches and six outs to go. But Brandon Morrow and Kenley Jensen had little trouble with the final two frames. This was the shortest postseason game since 1992. It didn’t even give you a chance to do a second load of laundry, if you’re into doing loads of laundry during World Series games. It was also a scorching 103 degrees in Los Angeles. It was just one of those memorable events. Clayton Kershaw is on the (World Series) board. Corey Seager is on the board. Justin Turner and Chris Taylor are on the board. Cody Bellinger – well he’s not on the board yet. But the Dodgers are off to a 1-0 start and the game two party is coming strong tomorrow night. Incredible memories as the Dodgers continue rolling through the postseason. Just as we once said, they have not faced an elimination game. They have not lost at home. They have so far; made this look trivial. ← Previous Story The 2017 World Series: The Greatest of ALL TIME! Of ALL TIME!